Last week’s Leadership Tip mentioned a conference I attended featuring world-class speakers including David Horsager. David’s “8 Pillars of Trust” is a great topic for anyone in leadership. 1. Clarity – People trust the clear and mistrust the ambiguous. 2. Compassion – People put faith in those who care beyond themselves. 3. Character – People notice those who do what is right over what is easy. 4. Competency – People have confidence in those who stay fresh, relevant, and capable. 5. Commitment – People believe in those who stand through adversity. 6. Connection – People want to follow, buy from, and be around friends. 7. Contribution – People immediately respond to results. 8. Consistency – People love to see the little things done consistently. 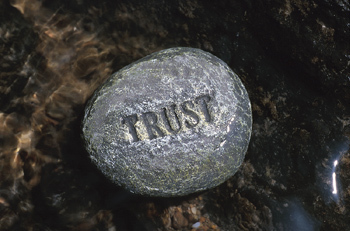 As David said, with every interaction, we increase or decrease trust. And everything of value is built on trust. Therefore, earning and sustaining trust is crucial for your long-term success as a leader. My advice is keep learning how you can continue to do both. Study the principles behind the 8 Pillars of Trust, apply them to yourself, and share them with your team. Remember, trust takes a lifetime to build and only seconds to destroy. Be mindful of your actions and words at all times.